I finally had a good rain on my garden area to bring up the turnip greens and deer browse I planted 2 weeks ago. I checked yesterday and it appears I’m going to have a good stand of greens to pick in a couple of weeks. I love some fresh winter greens! I found this good, heavy metal barrel on the side of the interstate. I’m not sure what it held, but the label said it was some sort of coating and sealer. 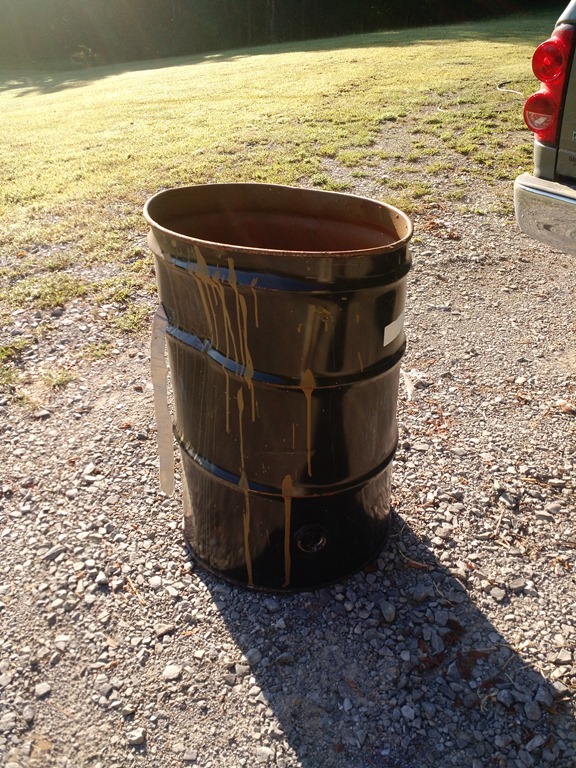 It looks like it was full of thick, tan, rubberized paint. I might use this for collecting sawdust in my workshop. When I start working on a lot of wood working projects, that creates a lot of sawdust that I want to keep. I started feeding my bees with this 5 gallon community feeder. I know I am probably feeding bees from all over the area, but I haven’t had time to put the screened feeders on the hives, maybe next week. I lost another hive recently. The hive was fine two weeks ago, then I noticed a lack of activity yesterday. I opened the hive up and found no bees, and it was full of wax moth larvae. Nasty! I still had 15 swarm traps out because I couldn’t pick them up as I have been housebound. Well, I went out yesterday and picked up 6 of them and low and behold, there were bees in one of them. I brought them home and transferred them over, but they are really strange. I don’t think they have a queen. They have built 4 pieces of comb about 6 inches square, but there is nothing inside the cells, there is no honey, pollen, or brood. It will be interesting to see how long they last. These are some commercial hives beside a field I check each week. 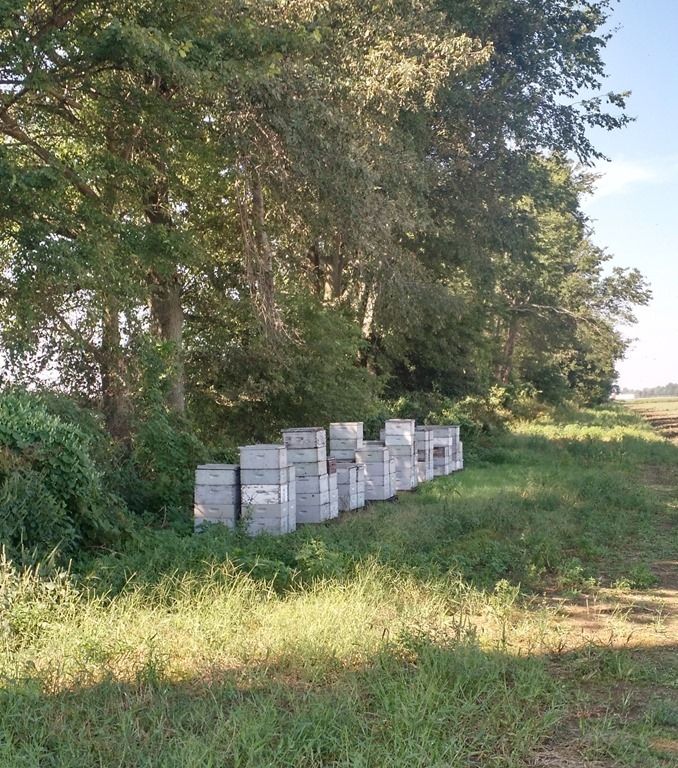 I know commercial bee keepers do things differently than us hobbyists, but these hives are on the north side of the tree line. These hives will be shaded all day long and the books say put your hives in the sun to help reduce small hive beetles. 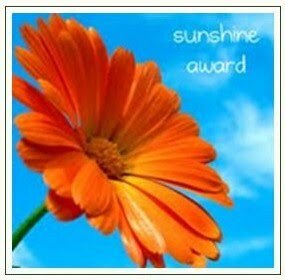 I have my hives in the sun and I always worry they are getting too hot. I have lots to learn about bees, I guess. Keep prepping everyone! I’ve been watching YouTube videos of people walking creeks looking for artifacts, and I found a place where I thought I would try it myself. It was a nice, cool morning when I gave this a try. 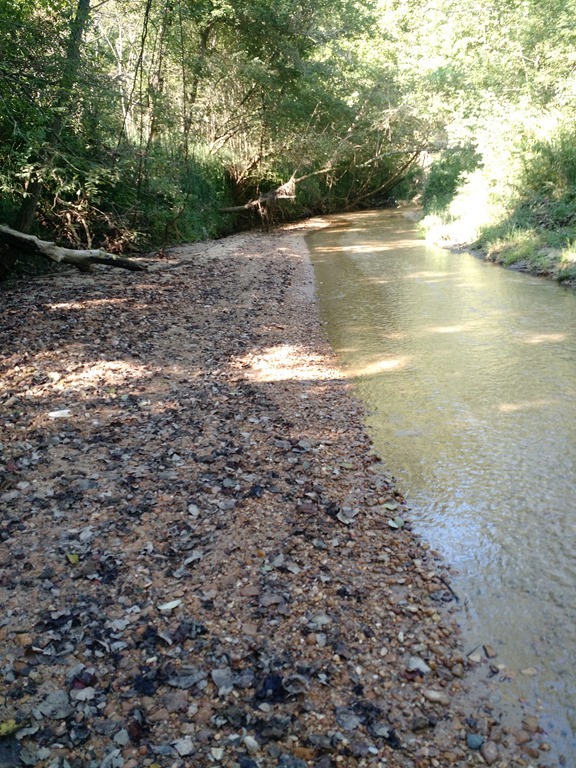 I was a bit worried about encountering some snakes in this creek, but after I stepped in I ceased worrying. This water is coming out of underground springs so it is clear and way too cool for snakes to be swimming around in it. I was still careful watching the banks and overhangs, but I didn’t encounter a single snake. I didn’t find any artifacts, but I had a pleasant day nonetheless. 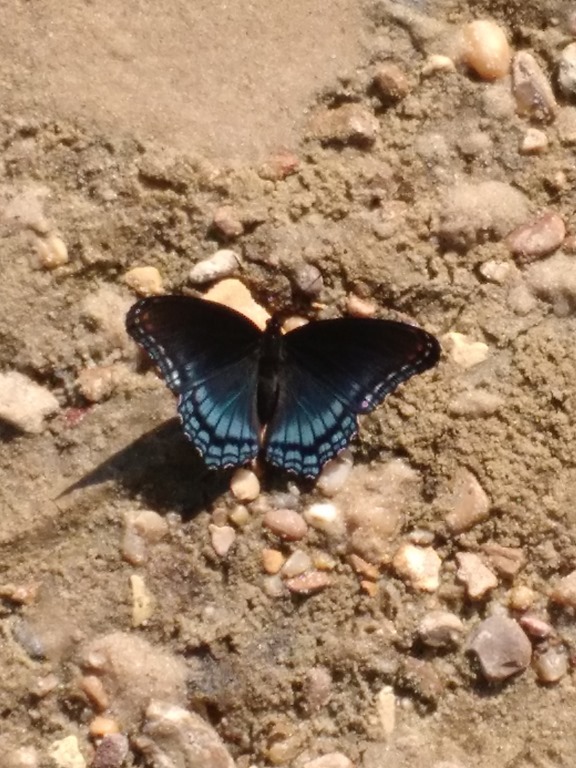 I did see quite a few butterflies and honey bees landing for a drink of water. 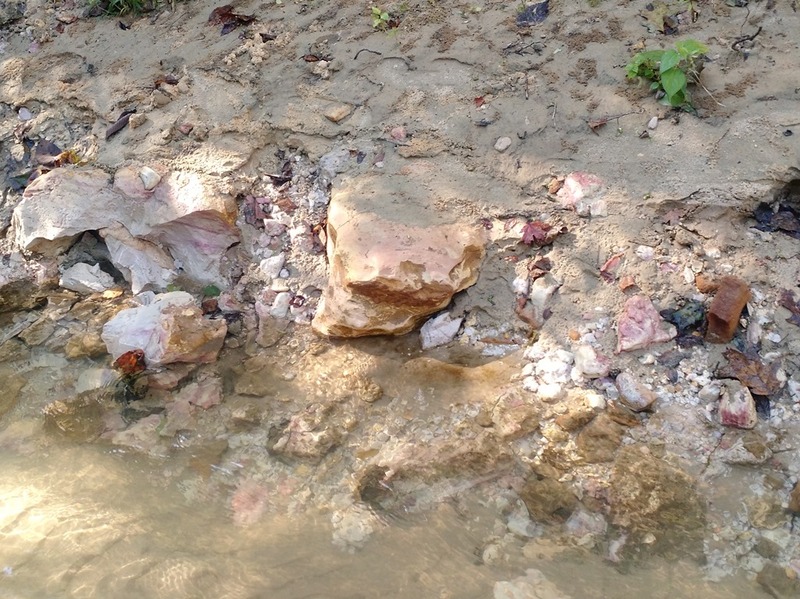 Looking at this picture, you might think there some pinkish colored stones on the edge of the creek, but you would be mistaken. 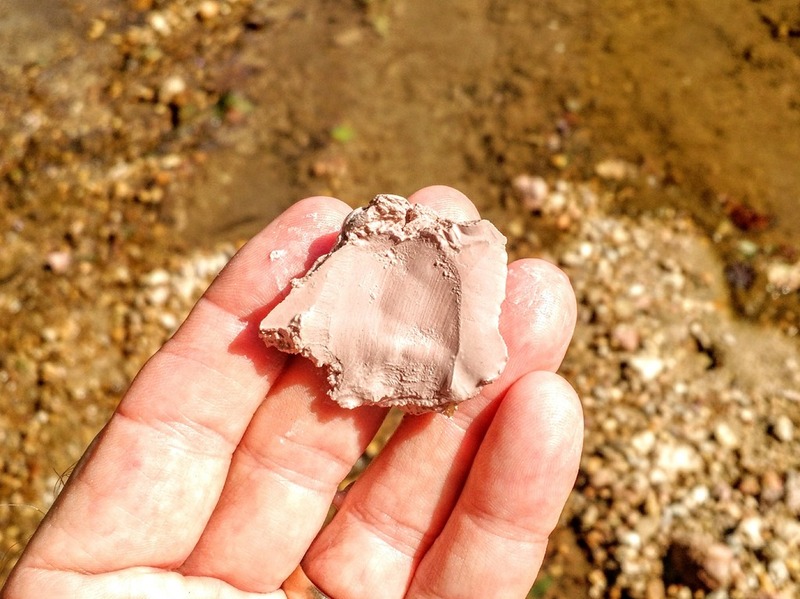 These are large lumps of clay that are washing loose from the soil. The clay feels like a giant lump of Playdoh! I plan on going back for more walks this fall. I’ve had good luck finding artifacts this Spring and I will show some of my finds later. Keep prepping everyone! 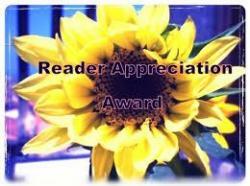 Just a quick post to let you know how things are going around here. 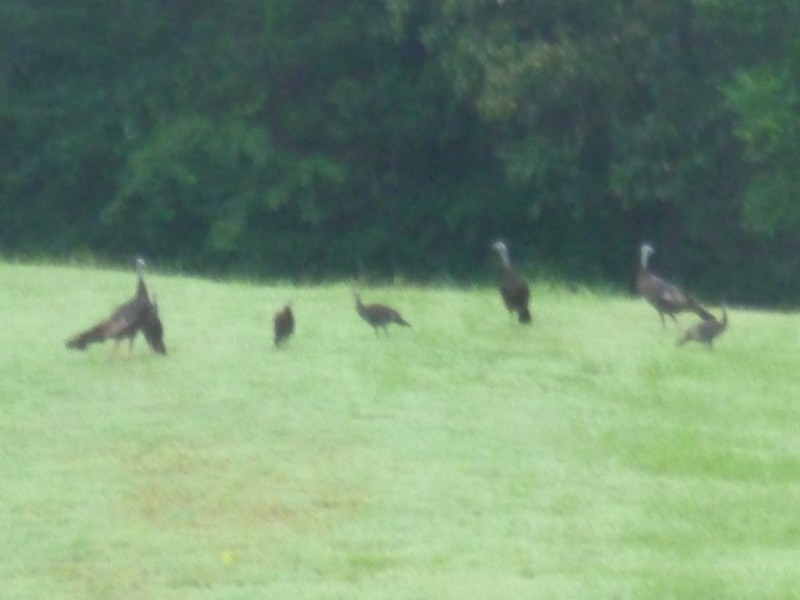 I looked out of the back door recently and I saw 9 turkeys grazing across the yard. I finished planting the deer browse and turnip green patch in the back in anticipation of the 80% chance of rain the weathermen were promising. After I hurried to get it all planted, we only got 1/10 of an inch of rain so the seeds will just lay there until we get some decent rain. 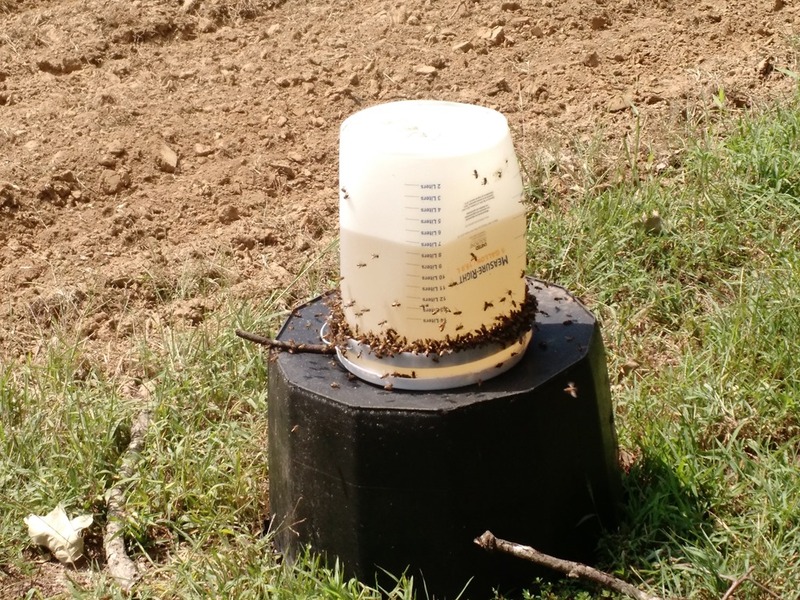 I started feeding bees with a community feeder. 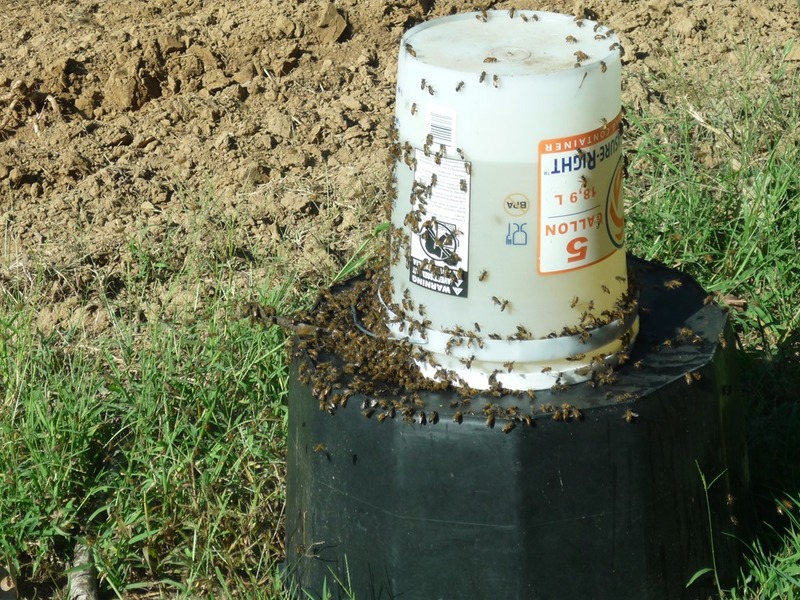 I hope to install the individual no-drown feeders in each hive tomorrow. I encountered this grain truck as I was making my rounds this week. 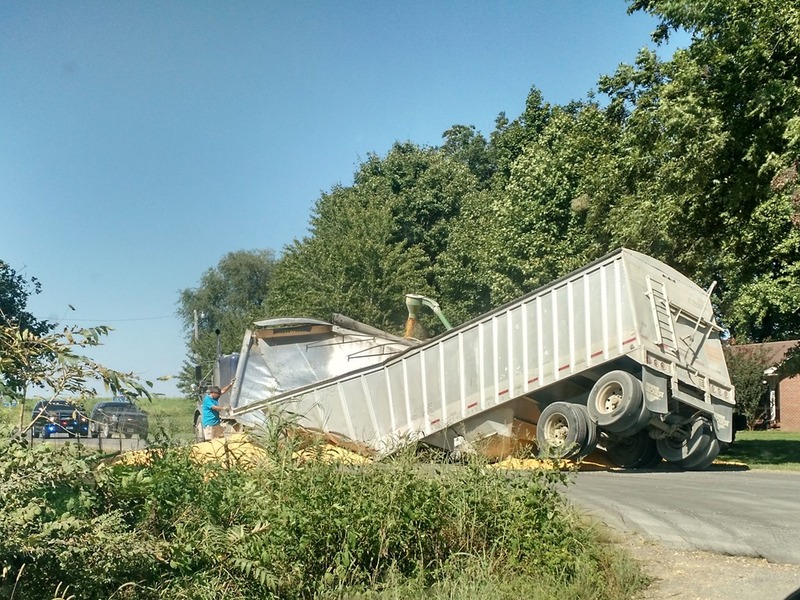 The truck came around the corner of this intersection and the trailer full of corn collapsed. I bet the driver said “Darn”! 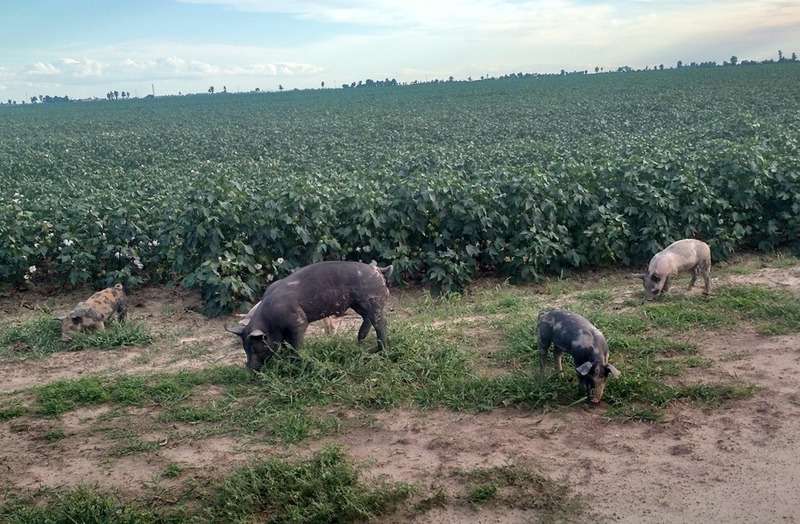 I also encountered these pigs feeding in the edge of one of the cotton fields I check. After I took this picture, I chased them back to their pen where they belonged! 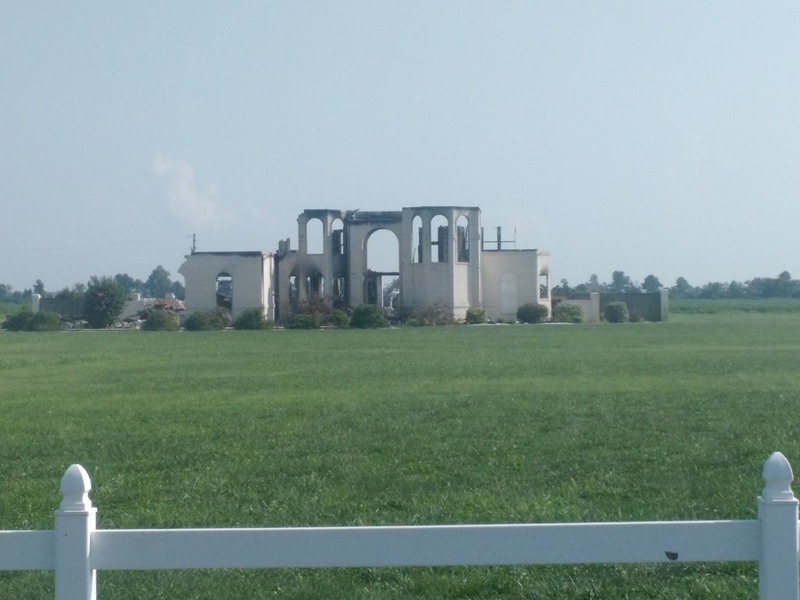 I also saw this Mini-Mansion that had burned during the past week. It reminded me to check my fire extinguishers when I got home. You always need to be prepared for fire safety. Keep prepping everyone. 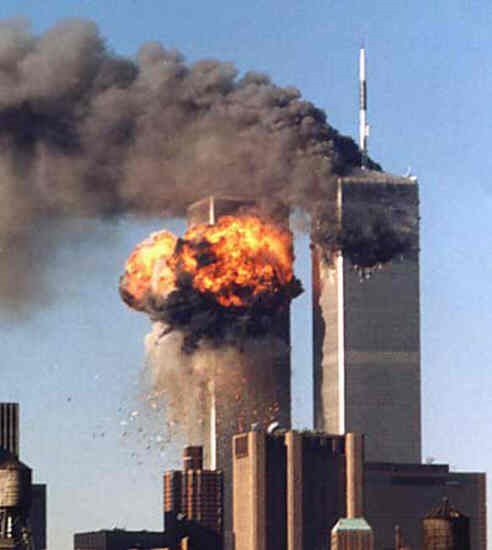 No, I didn’t forget this was the 15th anniversary of the attack on 9-11. I have been watching the lip service the politicians have been giving this event over the weekend and I have been disgusted beyond words. I don’t know exactly what needs to be done with these terrorist; there is not one, easy solution. 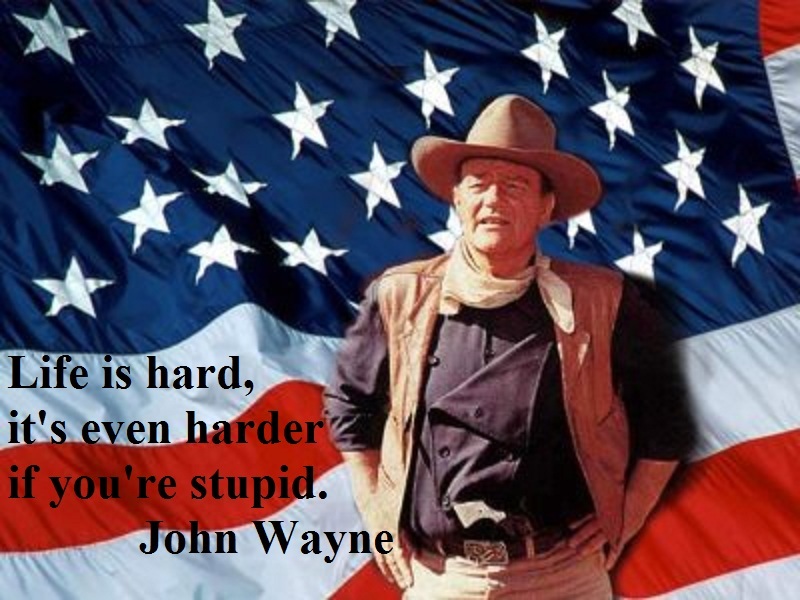 We might be able to stop the big organized attacks, but there is no way to stop all of the lone wolf attacks, so I guess we will just have to learn to live with those. We should have left Saddam in charge over there, he kept those people in Iraq under control. They were too afraid of what he would do to them to start any bull. Maybe we need to take a lesson from him? God bless America! I was feeling well enough to get out and do some light chores this past week. I started discing an area in the back where I plant the deer browse and turnip green patch. The ground was so hard and dry, the disc was just rolling along on the ground without doing much cutting. I took some scrap wood, made a tray on top of the disc, then placed 4, 80 pound sacks of Quikcrete on top for some additional weight. Now it will sink down and cut much better on each pass. 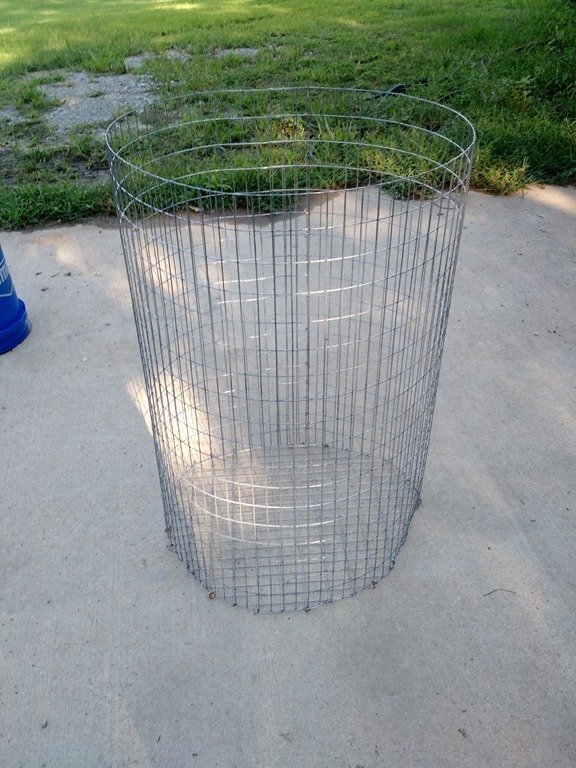 I made another wire barrel to burn our garbage. 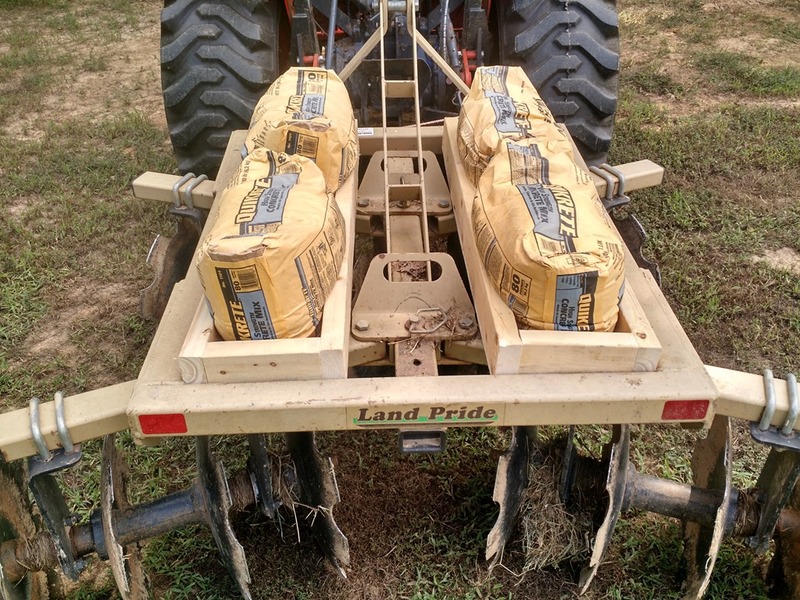 The old one lasted for a year so that is much more economical than buying the DR model costing $450.00! Since I have been keeping bees, I take specific notice of any blooming plants. I bought this plant (Texas Jasmine) from the Master Gardeners sale last May, but I still have not planted it, it still is in the pot. The Master Gardeners have a sale each spring, and this year the sale was from 8:00 until 2:00. I learned from past experience, if you wait until 1:00 to get there, they are practically giving things away so they don’t have to take them home. They had some red wagons to place your purchases in then you could roll them to your vehicle. After 1:00, you could fill a wagon with everything you could get in one, and the total price would be $10.00! I bought 20 pots of different plants, but since I was confined inside due to my illness, they are all still in the pots. I did manage to plant 2 apple trees last week that I bought at Lowe’s. 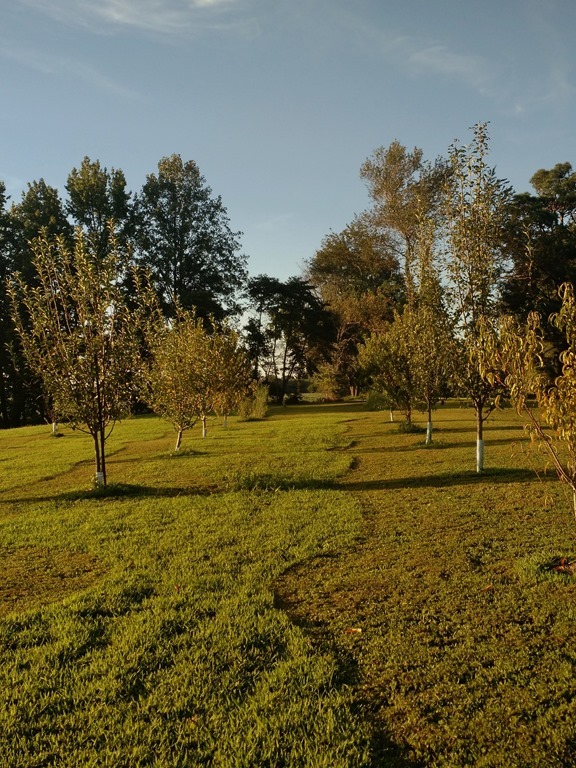 I took this picture of our fruit trees while I was mowing late one evening. The trees are doing pretty well considering the lack of care I have given them. They are 2 years old now, so I think the root system should be well established. 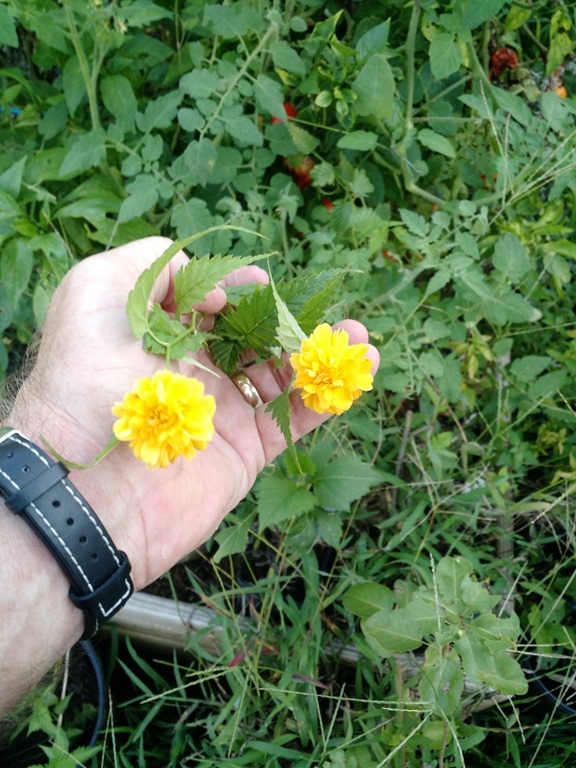 I am going to prune them back and shape them into the proper configuration to produce a maximum yield. 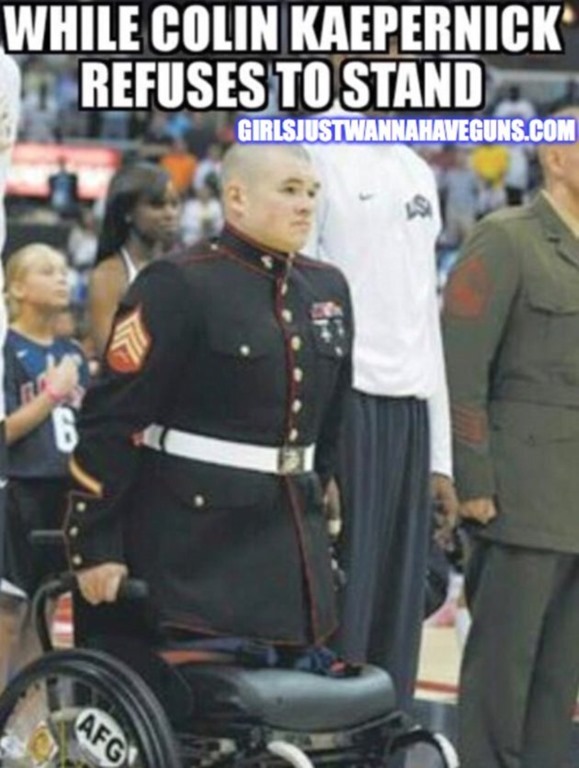 And oh yeah, I still think Colin Kaepernick is a disgrace! Keep prepping everyone! If Colin saw this, a bolt of shame should strike him right between his eyes, like a bolt of lightning from the sky, causing him to drop to his knees and weep in shame. Do you think that would happen? No, he is too much of an egotistical, narcissistic dog turd to feel any empathy for anyone other than himself. He is risen! Spread the good news! Read this and try to get a good nights sleep!